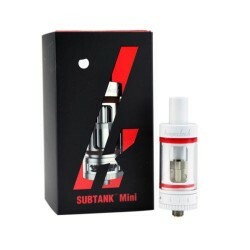 The incredible Kanger Subtank Mini - the performance is as big as ever. Complete with both 0.5 ohm and 1.2 ohm OCC coils and the rebuildable atomizer (single coil in this version) you have the same customisation options as the full size version, just on a smaller tank - which is perfect for many of the smaller devices that are so popular. £ 34.95	This Item is in Stock & Ready for Despatch. This Item is in Stock & Ready for Despatch. K3 Aspire spare batteries available in black or pink. Mini USB connection on base of battery for fast charging. £ 17.95	This Item is in Stock & Ready for Despatch. 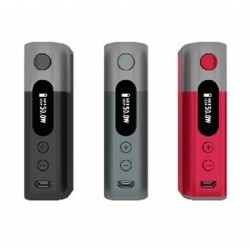 K2 Aspire spare batteries available in black or pink. Mini USB connection on base of battery for fast charging. £ 1.90	This Item is in Stock & Ready for Despatch. 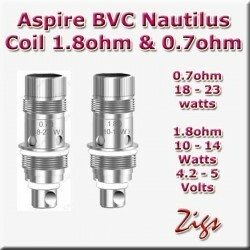 ASPIRE BVC NAUTILUS COIL 1.8ohm and 1.6ohm fit K3 tank and Nautilus 2 Tank. 10 - 14 watts 4.2 - 5 volts 0.7ohm COIL NOT SUITABLE FOR K3 tanks, only sub ohm kits like Zelos kits and Aspire Nautilus 2 Tanks. £ 50.95	This Item is in Stock & Ready for Despatch. Zelos 50 watt battery and tank kit. Fully TPD compliant. Easy top fill tank with no need to take the tank off the battery. Improved flavour production and powered by a 2500mah built-in Li-Po battery. 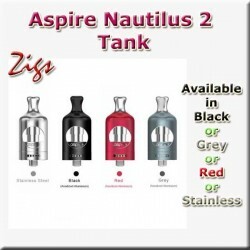 Coils interchangeable with other Nautilus coils. All latest battery modes selectable. £ 10.15	This Item is in Stock & Ready for Despatch. Chunky 18mm profile, the Aspire K3 Tank can be used with the Aspire K3 battery and is perfectly matched in diameter. The K3’s high quality Pyrex tank will hold 2.0ml of e juice and is fitted with a 510 male thread connection. Voltage needs to be between 4.2 and 5 volts. Great value tank with a low price. £ 9.15	This Item is in Stock & Ready for Despatch. 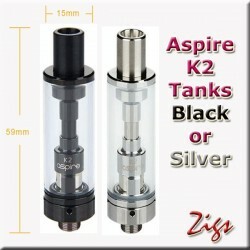 New slim 15mm profile, the Aspire K2 Tank can be used with almost any low power battery, such as the eGo battery. 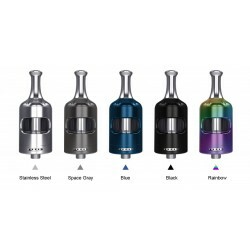 The K2’s high quality Pyrex tank will hold 1.8ml of e juice and is fitted with a 510 male thread connection. Great value tank with a low price. £ 31.95	This Item is in Stock & Ready for Despatch. £ 27.95	This Item is in Stock & Ready for Despatch. £ 3.95	This Item is in Stock & Ready for Despatch. 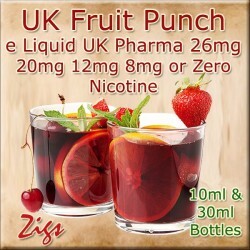 Made in UK with REAL Tobacco flavour from the tobacco leaf, Zigs Electronic Cigarette E Liquid Tobacco flavour nicotine allows the owners of electronic cigarettes to refill used cartridges a number of times or use with clearomizers and save money with our E Juice. Available in various nicotine strengths. 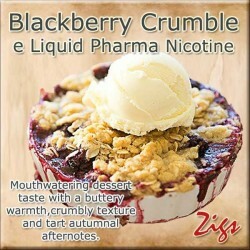 See below how to choose your nicotine strength. 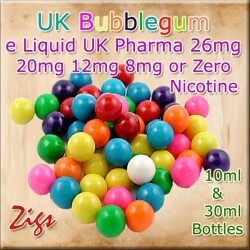 Made in UK Kola e liquid - great real kola flavour and tang, without the caffeine. Refreshing throat hit with the flavour everyone adores. 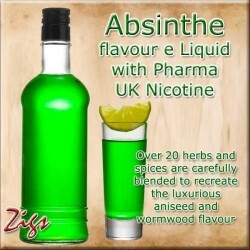 Zigs e liquid is made here in the UK with nicotine USP/EP base made to uk pharmaceutical standards for your safety when inhaling E Juice. 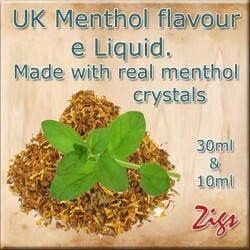 Made in UK with REAL Menthol crystals and a COOL ICE feel, Menthol flavour nicotine E Juice with a ICY after taste. Available in various nicotine strengths - see below how to choose your nicotine strength. Clearomizer atomiser T2 coil head for the Zigs ColorMiser. 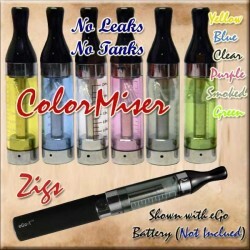 Replaceable atomiser coil head (simply screw into top of colormizer once the mouthpiece is removed). Resistance of atomiser coils are available with a choice of 1.5 ohm, 1.8 ohm, 2.2 ohm and 2.5 ohm. 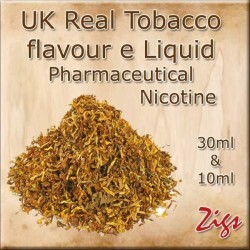 Made in UK with REAL Virginia Tobacco, Zigs Electronic Cigarette E Liquid Virginia Rolling Tobacco flavour nicotine allows the owners of electronic cigarettes to refill clearomizers and save money with our E Juice. Enjoy the light virginia tobacco flavour and believe you are smoking rolled tobacco. Available in various nicotine strengths. 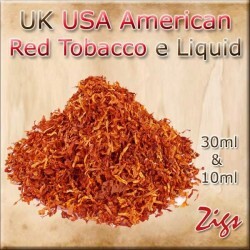 Made in UK with REAL American Tobacco, Zigs Electronic Cigarette E Liquid American Stronger Tobacco flavour nicotine allows the owners of electronic cigarettes to refill clearomizers and save money with our E Juice. Enjoy the full flavour american tobacco flavour and believe you are smoking american cigarettes. Available in various nicotine strengths. Many e liquids are not made to these high standards and contain many chemicals that are not desirable and harmful.